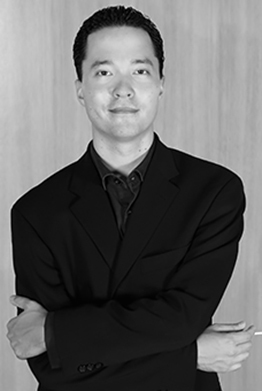 Joshua Chai, is the Director of Choral Activities at Concordia University Texas in Austin, where he directs the University Choir and Concordia Singers, teaches courses in conducting, theory, and composition, and directs the Director of Parish Music certification program. He has taught at Concordia since 2009. Under his leadership, the choirs at Concordia have travelled internationally and pursue a vigorous schedule of local performances, including twice-yearly masterworks; recent performances in the last year have included Ralph Vaughan Williams’s Dona nobis pacem, Schoenberg’s Survivor from Warsaw, and several performances in honor of the 500th anniversary of the Lutheran Reformation, including J.S. Bach’s Mass in B Minor. Joshua has completed his coursework for the Doctor of Musical Arts degree from the University of Kentucky and is currently ABD, studying with Dr. Jefferson Johnson. He recently spent a year in residence, including a semester as the sabbatical replacement for the Chorale, the university’s top mixed ensemble. A native of southern CA, Joshua received his M.M. from California State University, Long Beach studying under Dr. Jonathan Talberg. His undergraduate degree was from St. Olaf College in Northfield, MN, where he double-majored in music and mathematics and sang with the St. Olaf Choir. A freelance tenor, organist, collaborative pianist, and composer with commissions from churches, high schools, and universities around the country, he maintains an active schedule of performance, educational and sacred music engagements.